Since first opening our doors in April 2009, we have grown and flourished both as a team and also into a successful supplier off staffing. We are extremely proud to continue our expansion and are now opening our skilled division to cater for the roles that require more refined skill-sets or jobs with more specific experience entailed. 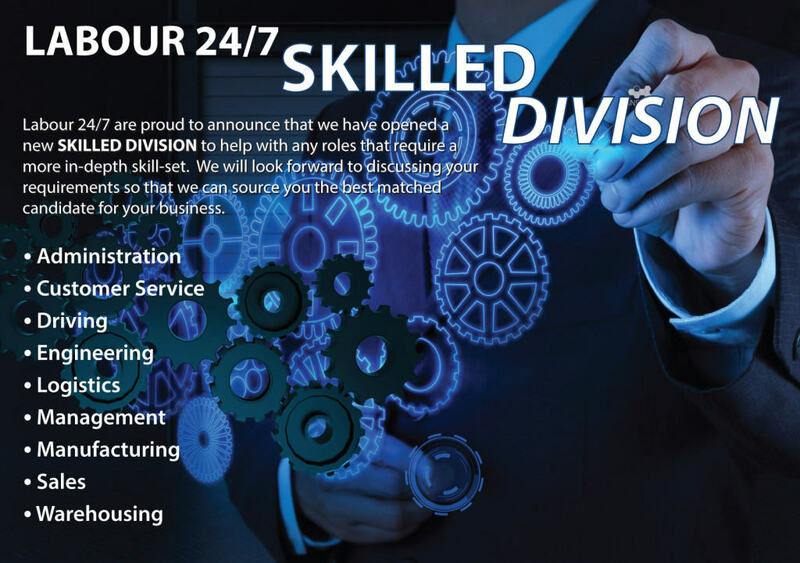 The new division will compliment and work alongside our established Labour Division to ensure we cater for all levels of the recruitment spectrum and continue to provide a strong recruitment partnership service for our clients.